ride credits for you and a friend. Pace bikes have settled into our local culture as an easy, convenient way to get around. Ridership continues to rise, and the 2018 bike share season was a great success. Rochesterians rode an average of 300 rides per day and accumulated a season total of more than 20,000 hours! Amazing. 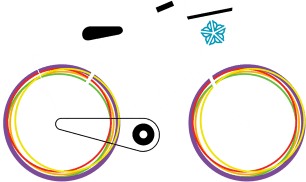 As we head into the 2019 season, we want to make sure that Rochester’s bike share system remains both successful and accessible to all. Each bike share station requires a $9,000 annual sponsorship. In 2017 and 2018, Reconnect Rochester pooled the resources of everyday citizens like you to support a station on Hudson Avenue in Upper Falls, a city neighborhood where large corporate sponsors might not be so easily found. Will you help us continue our collective sponsorship of the Hudson Avenue station? Donate now on Crowdrise. In doing so, you’ll be helping to make sure people in ALL areas of our community are able to experience the benefits of having easy and affordable access to bike transportation. And there’s something in it for you (besides that warm fuzzy feeling). When you make a donation, you get your money back dollar for dollar (and sometimes more!) in bike share RIDE CREDIT for you and a friend to use this season! 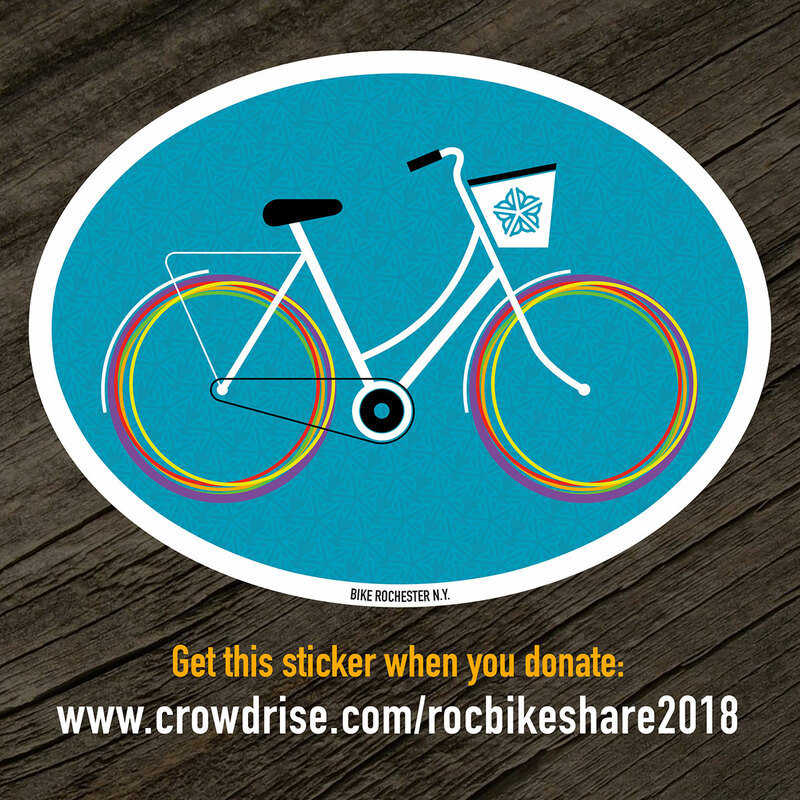 ALL DONORS will receive a Bike Rochester N.Y. sticker. You’ll also be listed on Reconnect Rochester’s website as a thank you. Donate $20+ and receive a $10 bike share promo code for you AND $10 for a friend. Donate $40+ and receive a $25 bike share promo code for you AND $25 for a friend. Donate $75+ and receive a $50 bike share promo code for you AND $50 for a friend. Donate $200+ and receive a $100 bike share promo code for you AND $100 for a friend.